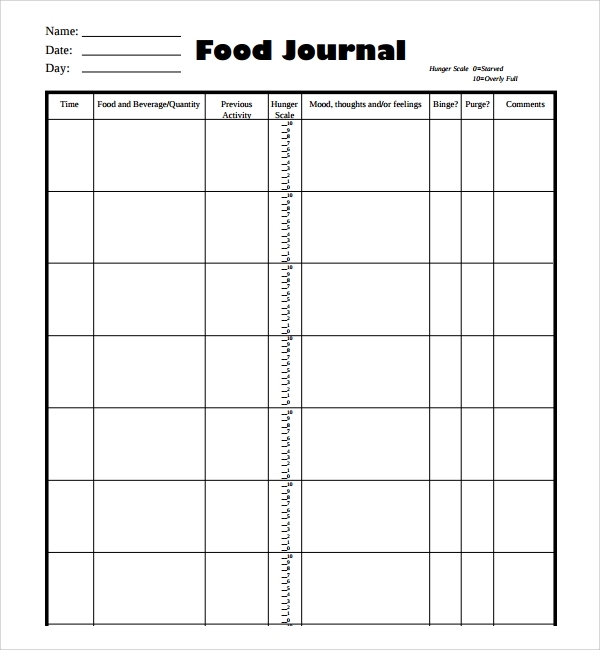 A Food journal template is an excellent piece of format, which every weight watcher, health and nutrition enthusiast, and diabetic would love to use, so that a proper charting of daily food intake and output, and the exercises and workouts done can be neatly recorded. Unless you start recording these things nothing will come into your control. You may by chance eat a burger or an ice cream and forget about the daily calorie intake limit, and may not realize later after weeks, that why you did not get results as you expected. 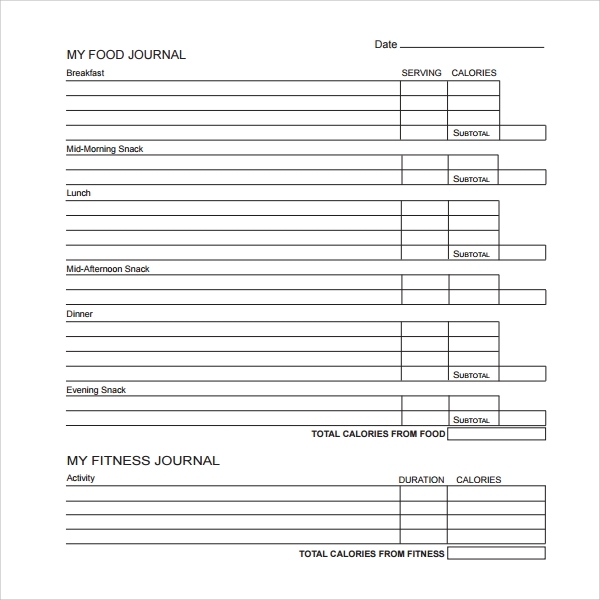 A Food Inventry Template journal template can make it very easy for you to track your calorie intake and workout timings and habits. 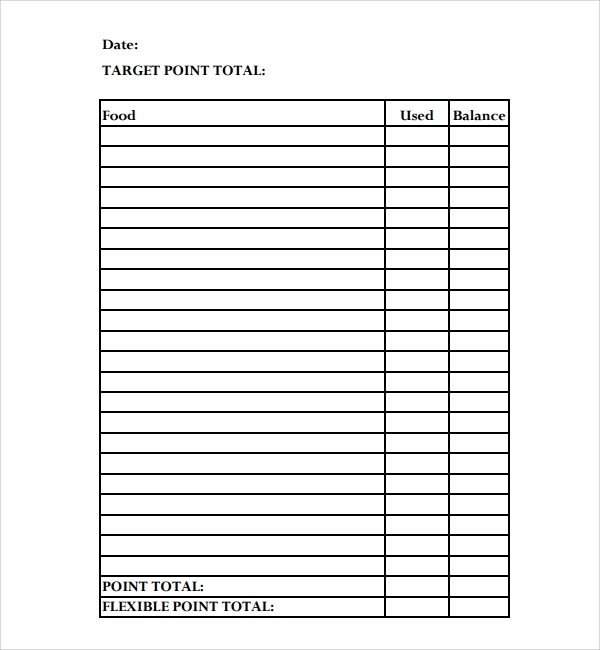 The weekly food journal template makes it easy by helping in a week by week tracking. The food you take every day of the week by the names of days, and this way lap of weeks are recorded. Finally when you try t check out the old records, you can get a weekly record and chart view. People who are trying desperately to shed some weight or maintain a definite weight would go by this template. This one is designed to give a complete tracking method, so that your daily calorie intake can be recorded. Workouts can also be recorded here at the same way per day. 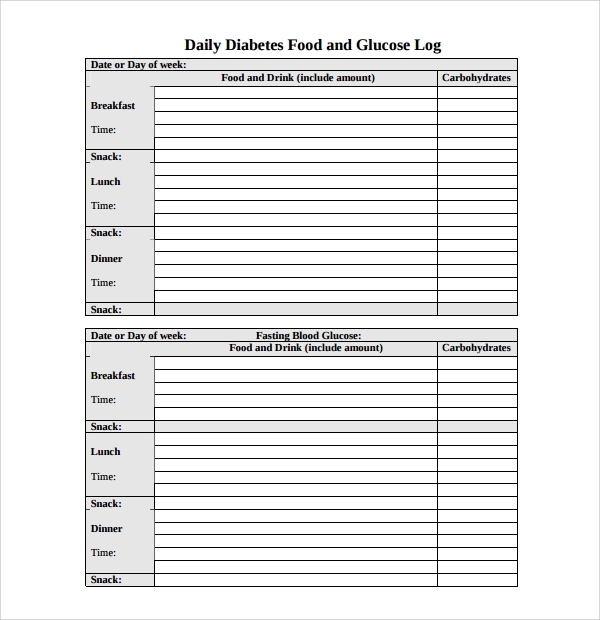 This template is for the diabetics who are trying to keep a check and control on sugary and high calorie foods, and are also doing exercises to keep things in control. This way it will be easy for them to record things, and track changes if any. Moreover templates eliminate the need to prepare the charts on your own. 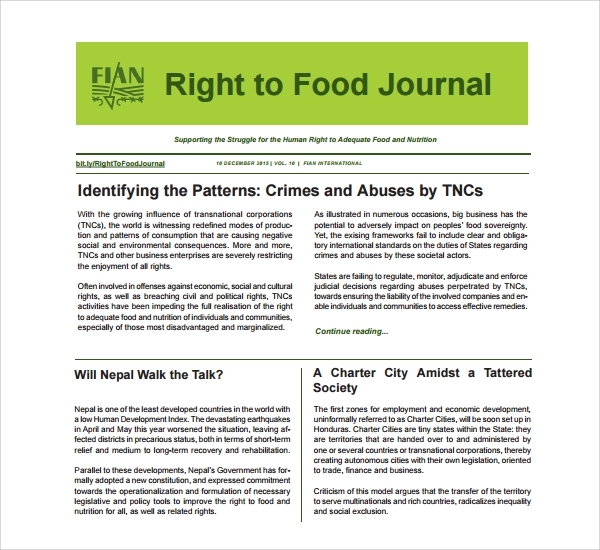 You need the food journal templates for various reasons. Often, when you are burdened with the pressure of taking limited calories, coping with hunger pangs, and also tracking exercises and timing per day. And you may get more burdened to sketch a route or tracker for all these. The exact pattern to track which you may later refer to and also show some health expert or medical practitioner is found with templates. The templates actually makes the tracking easier while providing you a prepared format which can be universally accepted by health experts, and is also easy to understand for everyone. 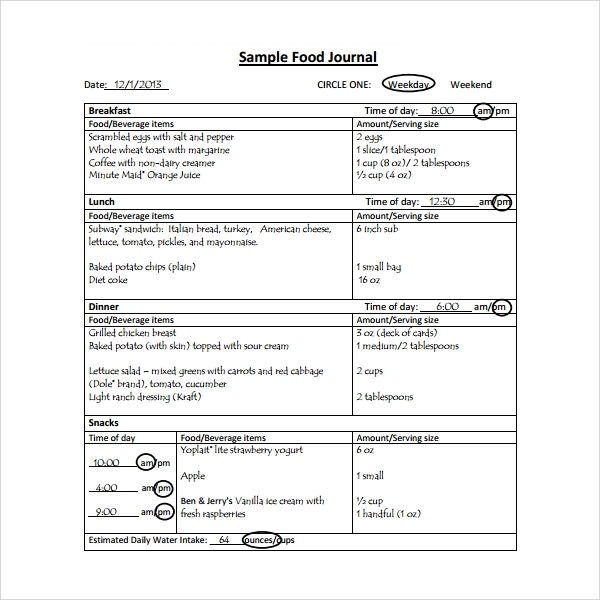 The importance of food journal preparation is huge, and that is why templates are equally important. No food and health expert or dialectician would waste time on making rows and columns, and writing details over them to make a health and food journal. These things are always used readymade, where experts prepare such formats for quick use. When you are trying something on your own then also get online to find templates which suits your food intake and workout pattern. You will find more than you want, and hence you will always come up with a nice design to start working. 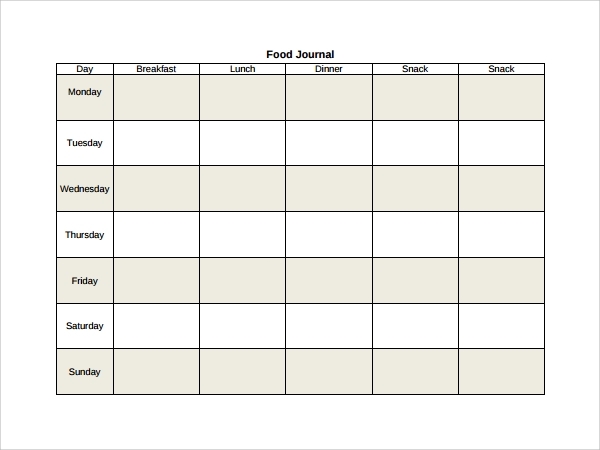 Using a food journal template is one of the simplest jobs when you have the template handy. 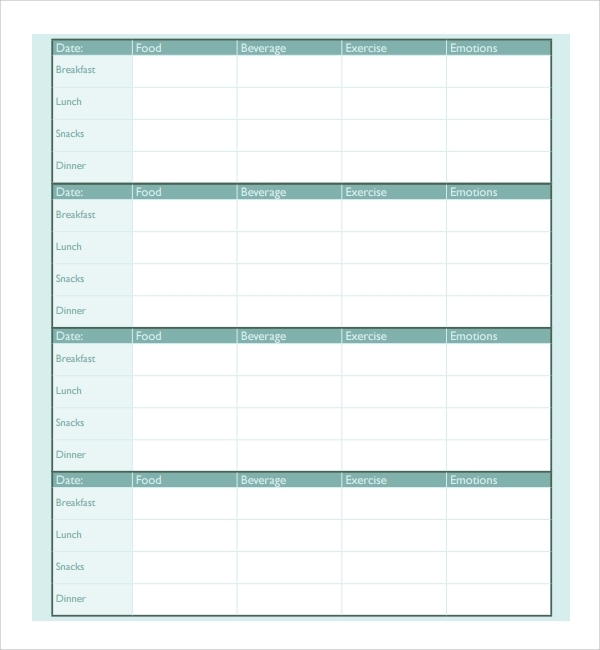 You can make great use of the templates to track your daily improvements or gain of mass. That is why you must rely on such a tracking mechanism. Just search online for some nicely structured templates, which have all the information inputting format ready, and you only have to input your data. There are many Food Coloring Chart Templates, and downloading a nice one should do the job for you. Making use of such a template you can track your daily body changes and draw conclusions about how the new routine and food intake policy is working for you. While you track all sorts of business and financial data and all other things in your life, it’s as important and in fact more than all that to track your body changes and metabolism through the food intake and workout data. This can be done by preparing a nice food journal which must be well maintained every day. Get a template to make this work easier and start tracking soon!